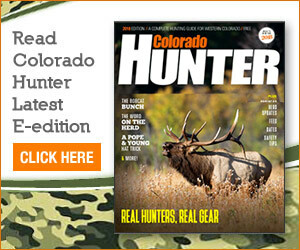 CraigCraig — Sportsmen in the United States have a lot of choices about where to hunt, but with 23 million acres of public lands and the largest elk herds in North America, Colorado has much to offer. — Sportsmen in the United States have a lot of choices about where to hunt, but with 23 million acres of public lands and the largest elk herds in North America, Colorado has much to offer. Contact Lauren Blair at 970-875-1794 or Contact Lauren Blair at 970-875-1794 or lblair@CraigDailyPress.com or follow her on Twitter @LaurenBNews.Contact Lauren Blair at 970-875-1794 or lblair@CraigDailyPress.com or follow her on Twitter @LaurenBNews.